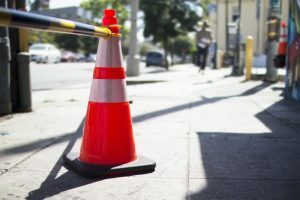 More Than Safety: What are the 3 Kinds of Traffic Cones Available? Road safety has a lot of elements, but more than prevention methods, such as proper discipline followed on the road, there are also the precautionary accessories that help ensure traffic safety. Among the most useful and still commonly-used ones today is the traffic cone, a simple tool used by traffic authorities and motorists alike. There are several types of traffic cones available, each having a unique set of features that make them more apt for a particular road situation. This is the most commonly-seen type of traffic cone that is associated with safety on the road. Shaped like an inverted ice cream cone, this particular safety accessory is useful for indicating cautions and warnings on the road. While orange is the most common colour, it can come in other variants and different sizes. The narrower tip can also be maximised by attaching a caution message or even a sign at the top, Seton.com reported. This makes it a more functional accessory beyond its uses on the road. Perhaps the most frequently used traffic cone on freeways is the barrel-shaped drum. Its sturdy base and shape, three-foot height, and durability are the best features most suited for heavy and high-speed traffic areas. The heavyset feature combined with the orange colour makes it a very visible caution marker, regardless if the motorist is coming from far away or if they are driving at a reasonably fast speed. Beyond the shape and use, traffic cones also have a variety of accessories, among which is the reflecting collar. This can be attached to cones and give the cones a more eye-catching look for motorists even in the dark. Other options include rotating lights, which according to Thomasnet.com, are useful in improving motorists’ visibility. Practice road safety by knowing the different traffic cones available, and how each one is best-suited for various traffic situations on the road.